Research in philosophy proves to be of wide-ranging relevance and interest. Built on millennia of inquiry, contemporary research in philosophy covers a broad swath of topics, from enduring questions about the nature of time and logic, to urgent questions about how to justify climate action. 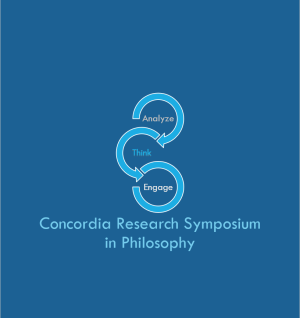 Research conducted in Concordia’s Department of Philosophy reflects this diverse array of work, and is highly regarded in the profession. This event presents samples of this research, offering in combination a taste of today’s cutting edge philosophy. Presentation topics include: automation, income and merit (K. Nieswandt), dignity and human rights (P. Gilabert), moral motivation (J. Hu), Aristotelianism in early modern Germany (N. Hamid), and the role of time in sensation (D. Morris). Accessibility: This event will be held in a wheelchair accessible room.